1951년 일본은 샌프란시스코 강화조약의 결과 ‘단일민족국가’로서의 독립국으로 재탄생하였다. 같은 해 구로사와 아키라의 이 베니스영화제에서 수상하였으며, 이듬해에는 아카데미 외국어영화상을 수상했다. 이 영화적 사건과 국가적 사건의 우연한 겹침이 의미하는 바는 무엇인가? 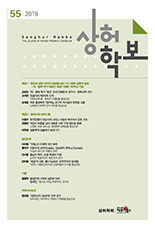 본 논문에서는 1950년∼52년 사이에 만들어진 구로사와 아키라의 과 , 1963년에 만들어진 오시마 나기사의 과 (1968)을 대상으로 제국으로부터 ‘단일민족’ 국가로의 이동이 어떤 ‘보편’의 설정을 통해서 가능해졌는가를 추적하고자 한다. 패전이라는 계기 위에서 구로사와는 휴머니즘이라는 보편을 ‘만들어’ 가려고 했다. 이때 패전은 역설적이지만 이 행위를 가능케 하는 ‘가능성’의 원점이라고도 할 수 있다. 전후의 단일민족국가 일본의 성립이란 ‘패배를 끌어안음’으로써 이 패전이라는 사건을 소실시켜 버리는 과정이었는지도 모른다. 이 계기가 소실될 때 함께 망각되는 것은 전후 일본을 가능케 한 냉전의 구조이며, 배제되고 비가시화되는 것은 이 공간에 여전히 남아있는 전전의 신민이자 전후의 ‘비국민’의 존재였다. 패전에서 샌프란시스코 조약으로 인한 국가성립까지 겨우 발견된 작위에 의한 자연의 극복이라는 과제 혹은 결단과 만들어감의 원리가 패배를 끌어안으며 재자연화되었다면, 이를 불가능하게 하는 것은 전일본군조선인(한국인) 상이군인의 신체였다. () 구제국과 구식민지의 문제에 연루되어 있는 한편 한국전쟁의 결과 성립한 두 나라 어디에도 속하지 않는 (더 정확히는 보상받지 못하는) 신체라는 점에서 그 자체로 아시아적 신체라고 할 수 있는 이 신체는 자연－작위－재자연의 과정 전체를 공중에 거는 근원적 질문들을 유발한다. At San Francisco, on 8 september 1951, Japan was reborn as independent country. The same year, Rashomon won a prize at Venice International Film Festival and next year, won Academy Award for Best Foreign Language Film. The two events happened to occur at almost the same time. What does this coincidental conjunction mean? First, I argue how was post war Japan as a homogeneous nationformed through some (or new) universality, by focusing Akira Kurosawa’s films, Rashomon(1950) and Ikiru(1952). Humanism of Kurosawa’s works is very popular. The approach of autherism defined the humanism as Kurosawa’s quality. But I argue Kurosawa’s humanism as relation of post war Japan. It is a new universality asked for “new Japan”. Second, I changed 1950’s Kurosawa’s work into 1960’s Nagisa Oshima’s work. And I argue how cracks appeared in the universality of new Japan. Oshima’s Forgotten Japanese Soldier(1963) is a strong example of the crack. The first scene of Forgotten Japanese Soldiers shows how intolerable the life and existence of a disabled veteran was in 1963, the year leading up to the Tokyo Olympics. A blind man wearing black sunglasses is begging passengers for money inside a crowded train. He is an ethnic Korean who served in the imperial Japanese army. It seems clear that this short 25-minute long documentary represented one of the turning points in Oshima’s career. The cruel logic underlying both the limitations of Japanese citizenship as well as the ‘giving of blood’ that is embedded within the relationship between state and citizenship is eloquently articulated through the overall physical presence of the former ethnic Korean members of the Japanese army. Their appearance also evenly captures both sides of the problems that ensue from colonized lands, the two post-war ‘citizen-states’ and the cold war systems that shaped these states.